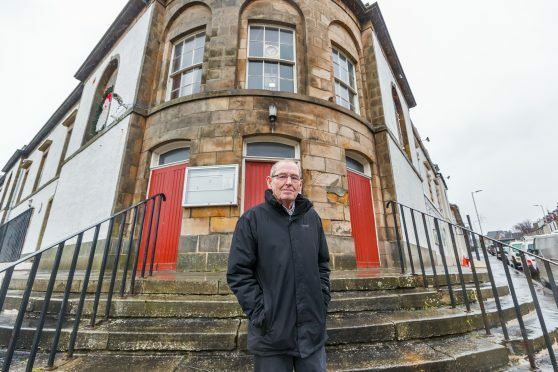 Councillor Ron Shepherd of Cullen Community Council outside the Cullen Hall which adjoins the Seafield Hotel premises. An ailing community hall could soon be transformed into a hotel in a coastal village on the proposed North East 250 route. Last year Milne Property Developments (MPD) were given consent to transform the A-listed Seafield Arms Hotel, which had lain derelict since 2011, into a four star boutique facility. Now MPD is in talks with the authority over purchasing the Cullen Town Hall and turning it into an extension of the adjoining hotel. The developers say their idea was sparked by the unveiling of the ambitious 250 mile route earlier this month, which is inspired by North Coast 500. The 250-mile route will take visitors through the scenic surroundings of Banff and Buchan, Speyside and Deeside, with Cullen a key spot on the tourist trail. MPD’s proposals, which the firm announced on Facebook, would mean one of the floors would be converted into six new suites, a 40-seat function suite and a meeting room. The Memorial Hall and adjoining facilities on the lower level would be available for the use of the Cullen and Deskford communities, or a nominated organisation, free of charge in perpetuity. Last night Councillor Ron Shepherd, of the Keith and Cullen ward, welcomed the proposals. He said: “I’m very supportive – most of the groups go to the church halls nearby because they are cheaper. “The only way for things to improve is for the building to be taken over. The firm was unavailable to comment but its post on Facebook read: “With the new NE 250 route going through Cullen and the continued amenity improvements being done by the residents along with its exceptional views, beaches and heritage, “Cullen will become a must stop and stay destination in the north-east and our proposal compliments that. The council said the proposals would be discussed in the early part of next year.